Miya Turnbull is a multi-disciplinary artist, working in a variety of mediums including painting, screen printing, photography, animation and mask making. Miya (daughter of artist/potter Marjene Matsunaga Turnbull) grew up on a farm near Edmonton, completed her Bachelor of Fine Arts at the University of Lethbridge, Alberta and moved to Halifax in 2002 where she currently lives with her family and practises, teaches and sells her artwork. She has exhibited her artwork in solo and group exhibits across Canada. 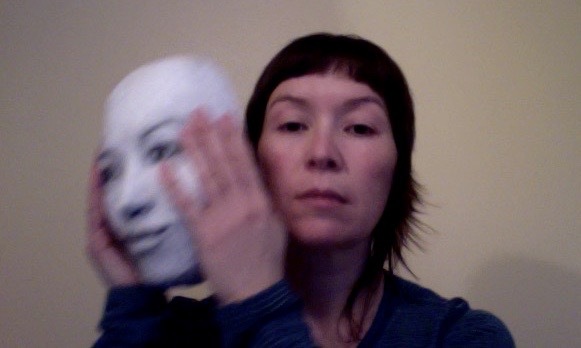 I have been exploring the theme of identity through mask making, dolls, video work, collage and projections. This has fostered a continuing examination of my individuality and cultural identity being half Japanese, most specifically through my mask work. Ranging from representational to distorted, I challenge common perceptions and stereotypes by revealing, concealing and manipulating my own image. 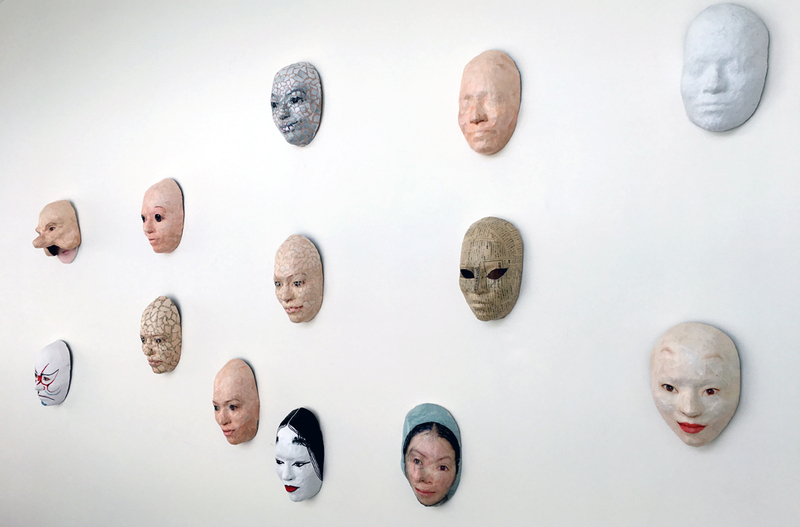 These masks can be seen as three dimensional Self-Portraits which can be worn or displayed. I utilize both the exterior and interior (concave) space of the mask to represent both ego and sub-consciousness. My paintings, silkscreens, photographs and felted work embody the simplicity and beauty of nature, organic form and spirituality and are a study of colour, shape and movement. My ‘Ki’ series of paintings are acrylic or watercolour on canvas or paper, overlaid with ink blowing and detailed pen work. I use the word ‘Ki’ defined as ‘Universal life force’ and these paintings are symbolic of this energy which permeates all living things. 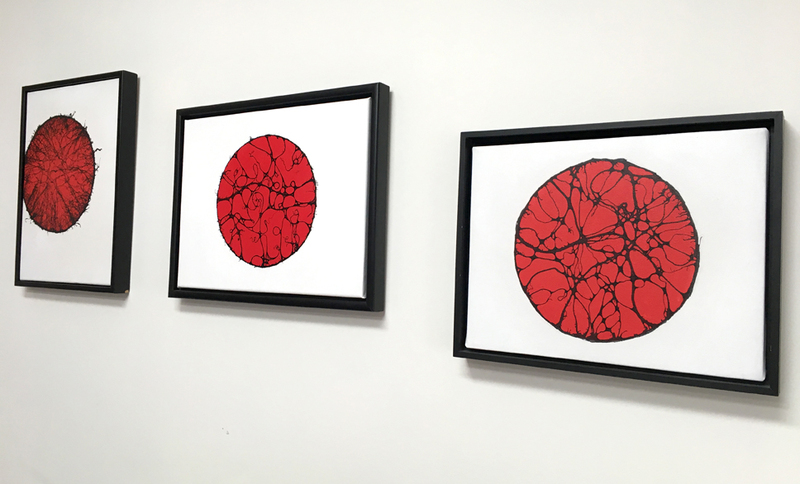 I have been making a series of paintings that are called ‘Rising Sun’ based on the red circle of the Japanese flag.